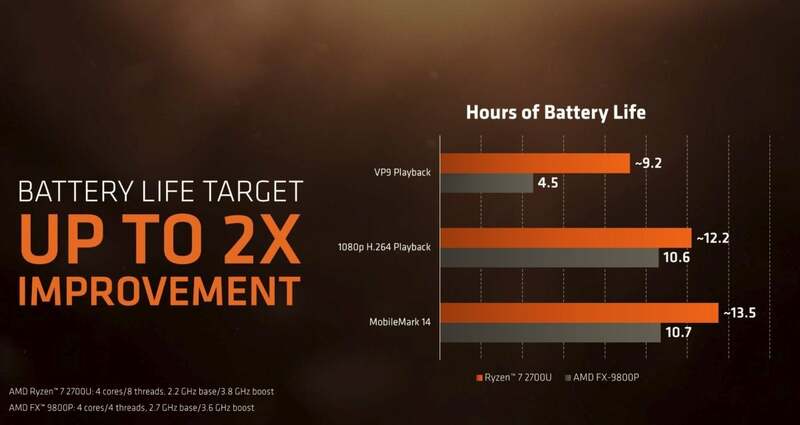 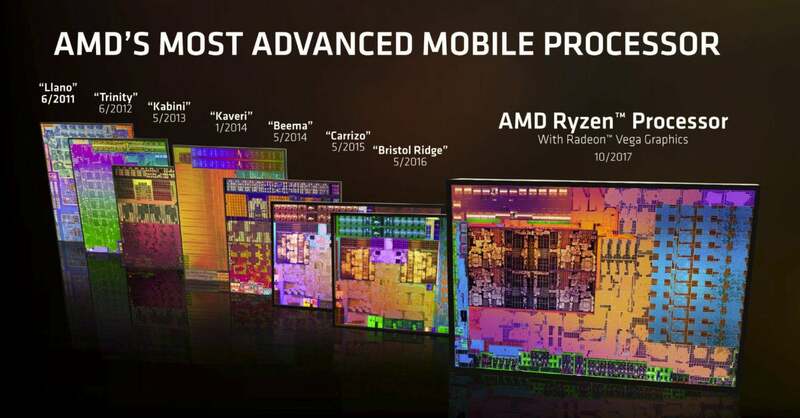 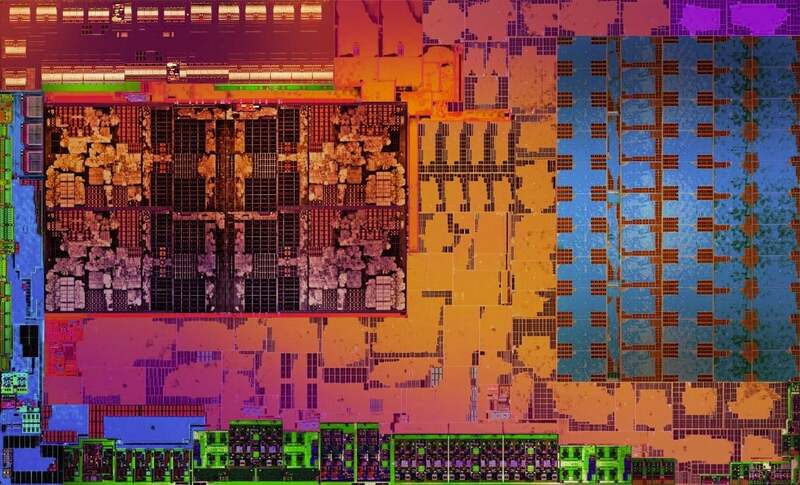 AMD just opened a new beachhead in its war with Intel by launching two Ryzen laptop CPUs it claims with being the "world's fastest processor" for ultrabooks. 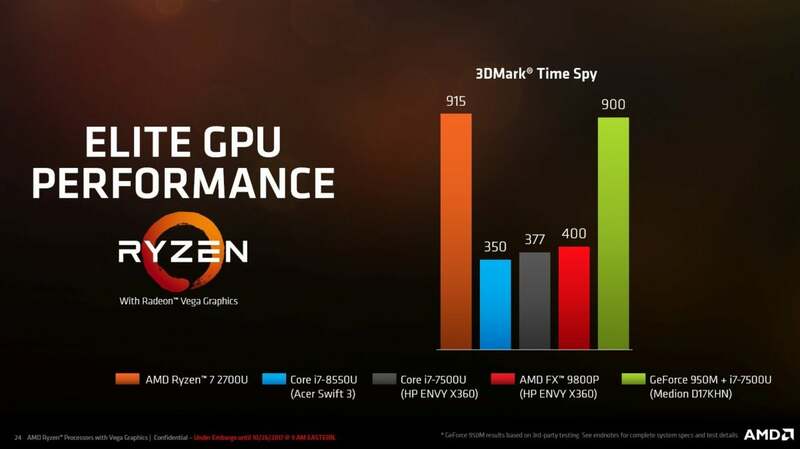 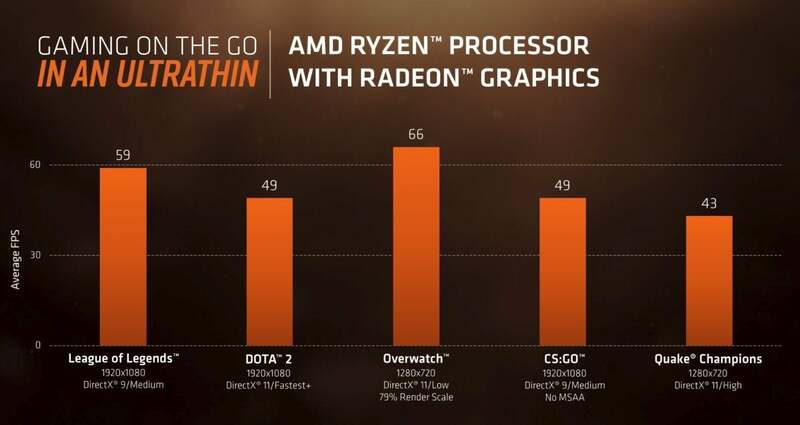 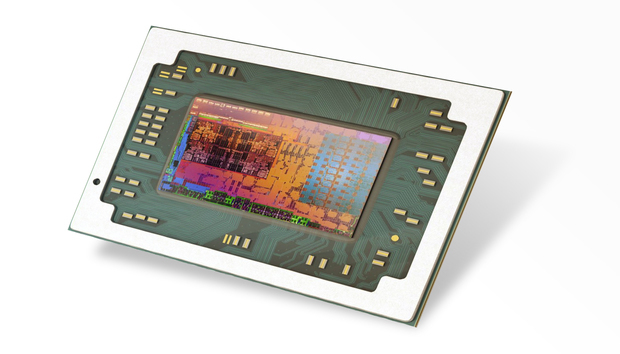 The Ryzen 5 2500U also has four cores with SMT. 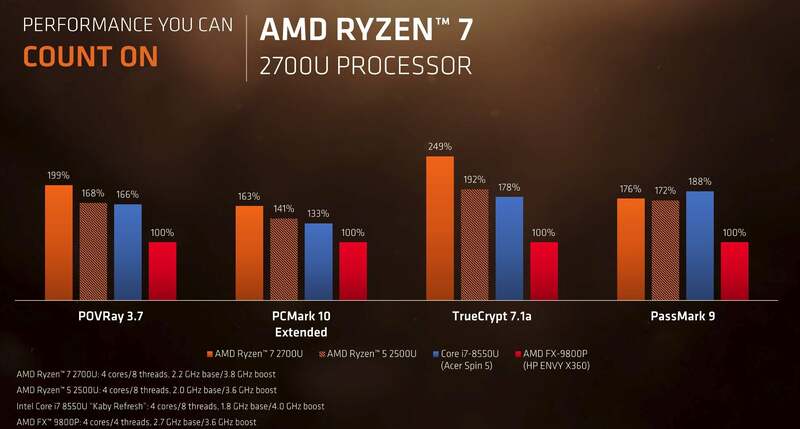 The main difference between it ans the Ryzen 7 2700U is the graphics core and clock speed of the CPU and GPU. 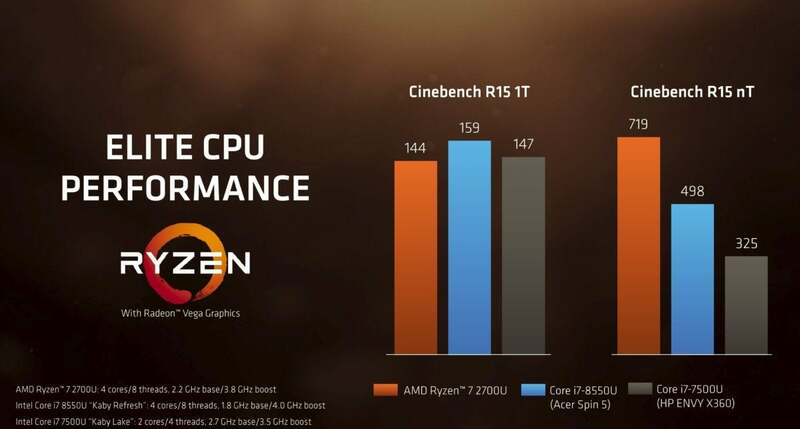 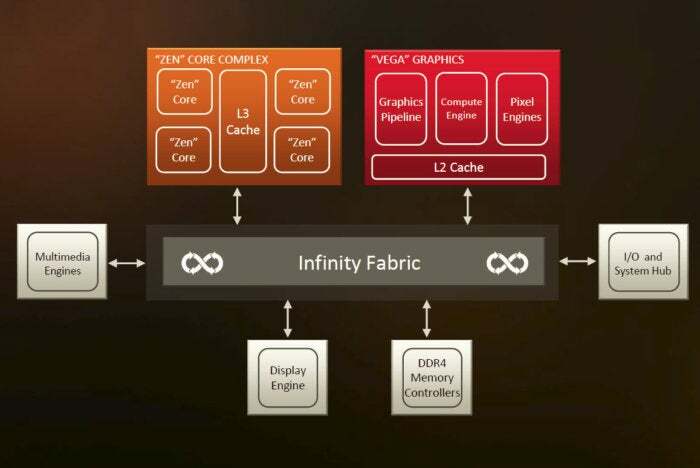 The Ryzen 5 has 8 compute units instead of 10, and its cores will clock up to 1,100MHz. 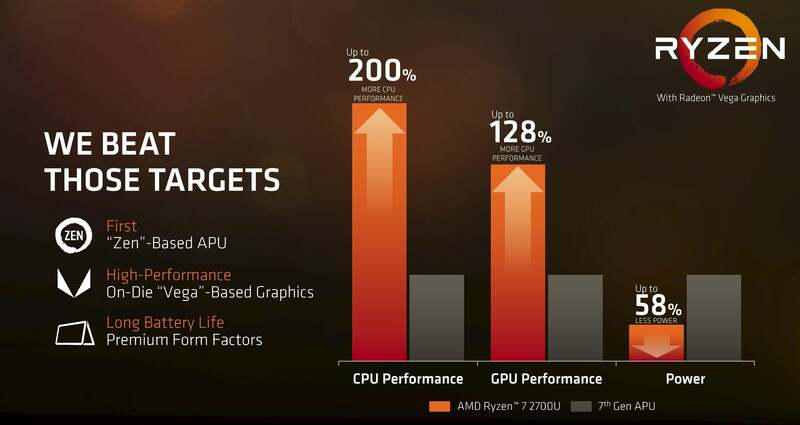 The compute cores will hit 2GHz with a boost clock of 3.6GHz.